The hotel ship Douro Cruiser was built, in 2005, in Viana do Castelo. Initially called Algarve Cruiser, this ship operated in Algarve, between Portimão and the Guadiana River. 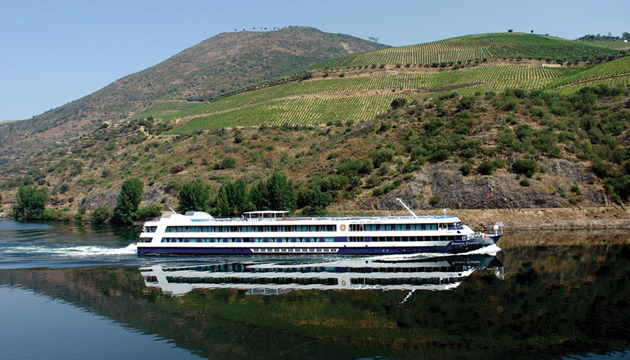 When, in 2008, the ship returned to the Douro, its name was changed to Douro Cruiser. 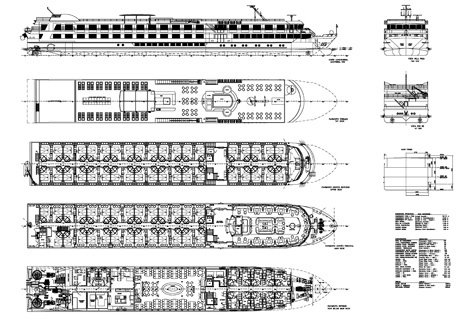 The Douro Cruiser has four decks: lower, main, upper and sun deck. The lower deck has a restaurant, a gift shop and the crew area. On the main deck there are the reception, a lounge bar with a dance floor and 27 cabins with panoramic window. On the upper deck the are 38 double cabins with private balcony; on the sun deck there is a swimming pool and an area of about 300m2 for placement of chairs and loungers. The cabins are very comfortable and relatively spacious, with about 15m2, have private bathroom with shower, hairdryer, air conditioning and TV multichannel. All cabins are faced to the outside. All cabins have private bathroom with shower and individual air conditioning, and they are faced to the outside. Cabins in the Upper Deck have panoramic windows that give access to a private balcony. Main Deck cabins have panoramic windows. All cabins have two beds that can be placed together or separated. - Restaurant – it is equiped with 8 rectangular tables for 8, 6 and 4 people each. Marble buffet table. - Lounge Bar – with panoramic windows, it has a bar and a dance floor. - Lobby, Reception and Gift Shop are decorated with fine woods.